New Directions Publishing Corporation, 9780811212564, 111pp. 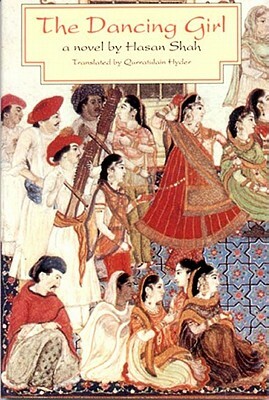 Written in 1790, Hasan Shah's autobiographical romance, The Dancing Girl, is remarkable for both its lyrical prose and its fine recreation of a time, a place, and a culture - India in the 1780s, a tolerant, affable era before the full establishment of British colonial rule. The Dancing Girl tells of the doomed love of Hasan Shah (aide-de-camp to a British officer) and Khanum Jan (a courageous and gifted dancer of the courtesan caste) whose secret marriage could not prevent their separation. At Khanum Jan's death, her grief-stricken husband turned his raw emotion into a surprisingly modern, first-person narrative "without realizing", as leading Urdu novelist Qurratulain Hyder observes in the foreword to her translation (from the 1893 Urdu translation of the original Persian), "that he had become a pioneer of the modern Indian novel".